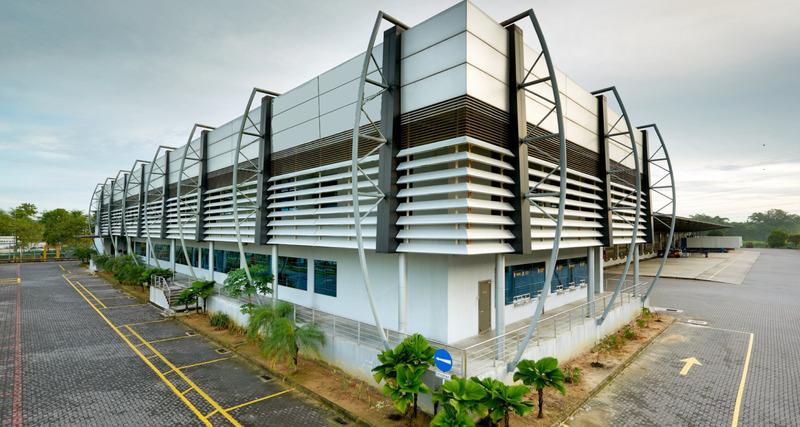 This office/warehouse complex lies within Distripark Phase A, Port of Tanjung Pelepas (PTP), which has been accorded Free Zone status in 1998. PTP is well connected to the national highway network and national rail grid providing easy access to the southern, central and northern Peninsular Malaysia. The Senai airport lies due north-east and about 25 minutes drive from the subject property. Built on a 6.12-acre industrial land, D8 consists of a single-storey warehouse with a double-storey office annex and other ancillary buildings. The warehouse enjoys a span of 78 metres with a centre column at the alternate row and an eaves height of about 9 metres. The combined net lettable area of the complex is about 15,886.44 sq metres (about 171,000 sq feet). Notable neighbours include JST Connetors (M) Sdn Bhd, Naigai Nitto Agency Sdn Bhd, Century Total Logistics Sdn Bhd and Indochine Bio Plastiques Sdn Bhd.